Prayas also specialises in packaging of Sea food and frozen food, Since they highly perishable and thus, need to be packed with precaution so as to maintain their taste, freshness and aroma. We offer a wide range of frozen food packaging / sea food packaging material that are suitable for packing raw, semi-cooked and cooked food. The quality management system followed by us manages the cold chain that enable these packaging material to withstand minus degree temperature that prevents the food from getting degraded in extreme temperatures. 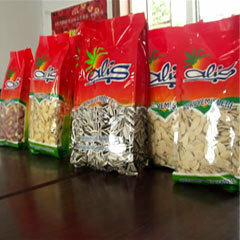 The range of frozen food packaging / sea food packaging material provided by us is apt for storing different sea foods and frozen foods such as seawater animals, ice cream, butter, edible seaweeds and frozen paranthas. 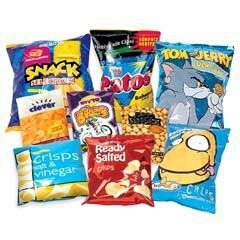 Our clients can avail from us a range of snack food packaging material that is available in various sizes and is fabricated using premium quality raw material that ensures that the snack remains fresh and uncontaminated. Available in various finishes, it can also be customized as per the specific requirements of our clients. 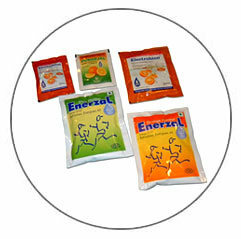 ORS stands for oral rehydration salt or solution and it requires packaging wherein it is completely safe from moisture or contamination, which also helps in increasing its shelf life. Prayas offers a gamut of ORS Packaging material which helps in keeping the chemical composition of ORS intact and provides excellent protection from moisture, high temperature, contamination and other defect causing factors. Sealed from all four sides to keep the freshness intact, our airtight ORS packaging material is available in a variety of colors and designs. Shampoo being a delicate and viscous cosmetic item, it requires attractive, eye catching packaging, which provides the user a rich and luxurious bathing experience. We at Prayas make sure that all the quality standards are maintained and enhanced, in order to provide uncompromising durability and good brand experience. 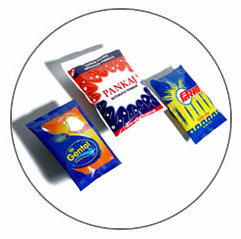 Our wide experience allows to produce a unique gamut of industrial packaging material like BOPP re-sealable & reusable pouches that are fabricated using superior quality raw material and are applicable in various industries such as garments, stationary, hardware and others. Our infrastructure is well equipped with 8 and 6 colors rotogravure printing machines, auto-registration controllers, auto-tension controllers, a lamination machine and 6 pouching machines. All these machinery together enable us to print and pouch more than half a million printed pouches a day or 2000 kgs in roll-form. 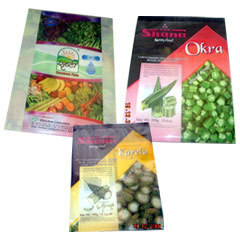 We are capable of providing printing on various material such as PET, CPP, LDPE, BOPP (Opaque & Natural) and glassing poly. 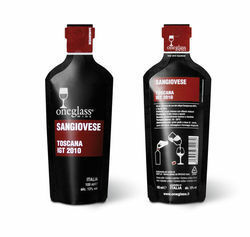 We are the Leading Manufacturer of Wine pouches,Alcohol pouches, tota packs. 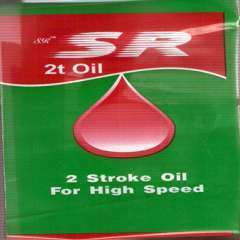 Sizes and designs are available as per customized requirements. Serving the industry for the last 15 years, we have been able to comprehend the unique requirements of our clients and accordingly modify our range. The gamut of industrial packaging material offered by us encompasses Food Packaging Material, FMCG Packaging, Agricultural Packaging, Pharmaceutical Packaging Material, Pouches & Rolls and Type of Pouches & Rolls like Stand Up Pouches. Available in a host of colors, shapes and sizes, these industrial pakaging material are produced in compliance with the approved standards of IIP (Indian Institute of Packaging). The excellent quality and durability of our range of industrial packaging material has been appreciated by one and all and has helped us in establishing a wide network of clients from different regions of India as well as various parts across the globe. 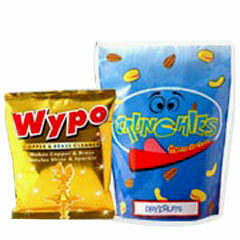 Some of the reputed names served by us include Poundland, UK; Chemi Cotex, Africa; Hindustan Pencils Ltd.; Rotomac Pens Ltd.; FDC Pharmaceutical Ltd; Hindustan Lever Ltd.; Oral B and Champion Confectionery.